I've always liked this symphony, so I was glad when Colin Davis and the London Symphony performed it in one of the orchestra's 3-concert residencies in New York. While here, Davis also rehearsed the Juilliard student orchestra in the symphony's first movement, using non-musical expressions now and then to help them get the mood of the piece. 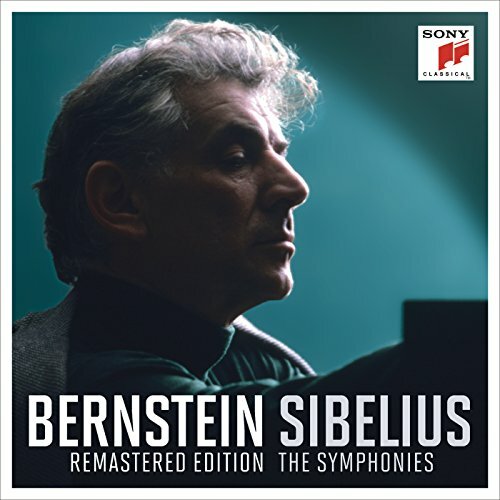 Robert Kajanus, Sibelius's friend and prominent interpreter, made the first recording of it in 1932, again with the London Symphony, for HMV's Sibelius Society series. The LSO was not the virtuoso orchestra it is today, and Kajanus's recordings made near the end of his life can be rough and ready, but it's impossible to get closer to the source than this. In case anyone didn't notice, both the second and third movements are in what musicians call off-time, meaning that it has neither a duple or triple or composite time signature. In a rare instance, I have to question Lance. I assume he is not going to expel me for this. There is a lot of Sibelius that is incredibly boring, and it includes his last symphony, the seventh, which I heard in New Haven conducted by none other than his son-in-law Jussi Jalas. The program also included Finlandia, also an infinitely boring piece that only gave us its main tune. Assuming that Jalas was conducting according to Sibelius's intent, you would surprised at how it was done. Not in the hands of a gifted conductor. Expel you? Why ... not a chance!!! There is some truly interesting Sibelius material, but for me, not what the usual public likes best. There is some interesting piano music, which fills many CDs, vocal music (songs, etc., sung by no less than Flagstad and Nilsson), chamber music. BIS issued a huge set of all — if not most — of Sibelius performed by artists of his native land. I have everything Robert Kajanus recorded that I could get my hands on. An of course, outside of his symphonies, the wondrous violin concerto. Among Sibelius' greatest symphonic conductors (insofar as Symphony #2 is concerned) was Serge Koussevitzky, who made two recordings for RCA, one from 78s and the other recorded just before his passing. So, there is much to enjoy of Sibelius, and a few nice surprises in the works that are not often performed. Trust me. American conservatory orchestras already play at a professional level, and the little known Yale Symphony is no exception. I don't know if Bernstein ever conducted one, but I'm morally certain that Jalas felt himself privileged to do so. However that may be, thank you for posting this, because it did make me rethink the symphony. And I made a big mistake which I admit. I was referring to the fifth symphony with its brass last movement. Here is Bernstein conducting that. Now I've even rethought that. There is a reason I belong here, and it is not to convey superiority except perhaps that I am the only organist, and sometimes I wish there were another. Sibelius's 7th is 'incredibly boring', Finlandia 'infinitely boring'. My ears tell me otherwise. I trust them. I agree . The Sibelius 3rd is a very underrated and unjustly neglected work . There are plenty of excellent recordings of it it , but it's rarely performed live for some reason . This is the sunniest and most cheerful of the Sibelius symphonies . Or as the composer put it , "clear, fresh spring water, not a musical cocktail ". Or words to that effect . Oh come off it. You think that endless middle section of Finlandia that goes dum-da-da-da-da-dum-dum about a thousand times is interesting? I like the brooding quality of Sibelius, though "Finlandia" isn't a favourite. There's a haunting quality to the music of this composer, IMO. I hadn't listened to "Finlandia" for ages, and all I remembered of it is the big tune. (How many composers of the last 100 years, other than Puccini, have been capable of writing a big tune?) But the tune doesn't come until 2/3 of the way through the piece, and if you don't think this music is interesting, I find it really exciting. 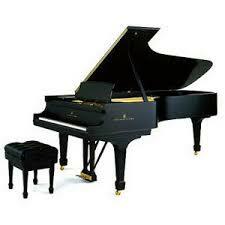 Many outstanding pieces, including some famous ones, go dum-da-dum endlessly, notoriously the end of Beethoven's 5th. Schubert's 3rd symphony, first movement, has an awkward repetitiveness at the end; in his recording, that outstanding Schubert conductor Thomas Beecham actually cut a few bars to "improve" it. These and similar examples do not make the music "uninteresting." As for Sibelius's 2nd symphony, I like the first three movements better than the finale which does seem rather repetetive, but others say it's the highlight of the piece. It was clearly intended to be. It seems rather presumptuous of the pot to look crosseyed at the kettle. Finlandia is musically interesting, all of it. I listen to it often. I also like Bolero bigly. Early Philip Glass too. Sibelius Is one of the great symphonic composers of the past century. Either one of Akeo Watababe's cycles, 1962 Epic, which I own, or 1981 Denon.